The whole house Casa Zopango (the 3 rooms) is also for rent. Consult us for the Suite, or if you wish to rent more than one room. Pictures in listing slideshow here. At Casa ZOPANGO it is all about Reconnecting with yourself, partner, family & Nature! 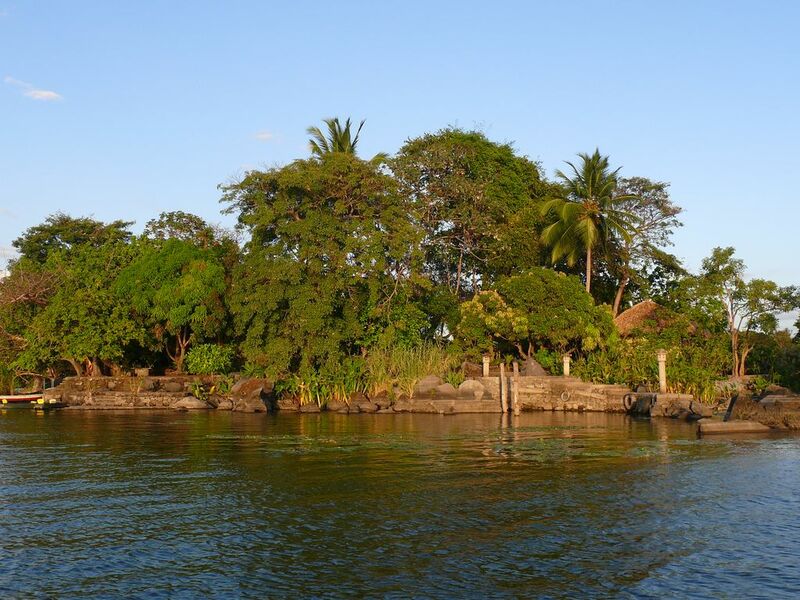 Experience a Sustainable Paradise at Zopango private Island! Zopango Island is a proud member of The International Ecotourism Society. Private Island Zopango, “the most beautiful of the Archipelago” is located in the Asese Bay, also called ‘Las Isletas’, in Lake Cocibolca, 30 minutes away from Granada historical center. Zopango Island, with its 7000 sq. meters of luxurious vegetation untouched, offers many intimate areas, various easy-access paths, stunning old trees, delicate orchids and rare exotic birds easy to observe! Be greeted by the french owners, the Bersani family, who also speak spanish and English. Each room counts with ceiling fans & a very good cross-ventilation, a terrace, an ensuite bathroom with a shower, towels and organic toiletries. Casa Zopango is THE FAMILY GETAWAY in Granada! At Casa Zopango each guest has its own kayak and hammock during his/her stay! Casa Zopango & Zopango Island are totally energy and water independent thanks to its solar panels installation and also its professional filtration & purification water system! At Casa Zopango & Zopango Island you will have cell phones & internet reception. Price is PER ROOM and includes: one return boat transfer from the Rayo dock; accommodation; complete & generous breakfast; unlimited kayak use with or without local islander guide; natural refreshments (coffee, tea, infusions, island-made fruit juices & purified water). For guests arriving with their own car, we will offer them free and secured car park day and night. Additional services: Dinners, Lunches & extras boat transfers. * Dinners (US$33.35/pers. taxes included) Includes: cocktail with alcohol, several appetizers, entry, season main, dessert, a glass of wine or a beer, coffee, tea or infusion. * Lunches (US$28.75/pers. taxes included) Includes: season main, season fruits platter, island-made fruit juices, coffee or tea. * Extra boat transfers to go to town and do day trips: US$29/return/day; US39/return/night. Our boat seats 12 pax. See you soon! Hasta pronto! A bientôt!